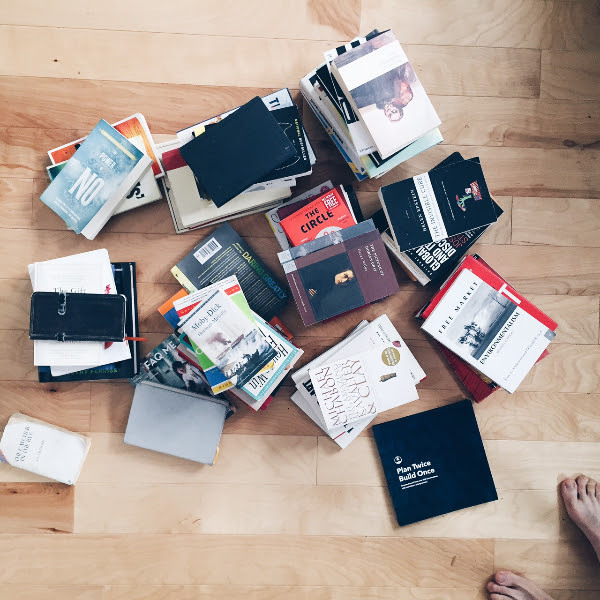 One of my favorite strategy blog Stratechery recently has a great piece on ebooks. Apparently in 2015, the sales of physical books in the United States is still going strong while ebook fall down 10 percent. The market share of ebooks also did not grow very much, still steady at 20% for several years. The trend is even more disconcerting due to the massive sales decline on ebook reader. Having single purpose device such as Kindle are apparently too cumbersome for general population. It is still too early to pull the verdict, but things are not going well for the state of electronic books. This is very interesting because usually the emergence of the electronic media will disrupt the old establishment of physical ones. Case in point, the introduction of itunes and other digital music platform had brought CD sales to its knees. Disruptive Innovation as famously interpreted by Clayton Christensen. So why does this not happen with ebook ?. In the stratechery piece, there are three factors which held the adoption of ebooks: Price, Experience and Modularization. Reflecting it to my experience as an avid book reader and the market condition in Indonesia, In this post, I will relate some of this drawback factors discussed in stratechery post to my personal experience. I will discuss some of the reasons which makes ebook worth to try and why physical books will still going to be around for the foreseeable future. Price on Imported books : This is the main reason i start using ebook. Rupiah currency has been in a bad shape this year which resulted in increasing price of imported books. For example, at the time of the writing paperback edition of The Martian in Periplus is 225k IDR while on Google Books it is only 115K. With more than 95% price different, Ebook become an obvious choice if you like reading imported books whose price recently skyrocketed due to weakening rupiah currency. More powerful for note taking: I was inspired by Ardi Wilda post on the good habit of taking notes while reading books. However this is quite cumbersome in physical books because i need to carry notebooks around. It is much easier to take notes in ebooks. In Kindle reader, all the notes and bookmarks are searchable. This is very useful if you want to do writing which will need heavy reference to several books (e.g Thesis). Portability: I asked around several of my friends which are ebook readers. Number one reason for them to shift from electronic and digital books are portability. One tablet can store a bucket load of books which is great if you want to be able to access all of your book collections in one go. Also if you are on the road and suddenly feel the urge to read Leo Tolstoy’s 1400 pages novel War and Peace, physical books is definitely not an option. Price: The price of books in digital format is still relatively the same with physical format especially for local books. For example Raditya Dika’s newest book Koala Kumal is 50k in physical while the digital cost 44K even after discount. The tiny amount of price difference are not compelling enough for old school book readers to shift to ebooks. This is strange because without the production and distribution cost, publishing in digital format should be way more cheaper. It seems like the book publisher deliberately maintaining high-profit margin which is in my opinion, the main inhibitor for ebook to reach a wider audience. DRM Restrictions: For reading and buying ebooks, I use both Google Books and Amazon. The annoying thing is both of these platforms are walled garden / closed ecosystem. Ebooks bought from these platform are DRM-protected which can only be read with the platform’s own ebook reader. It is impossible to consolidate all of my ebook collection under one universal reader without some kind of hacks. Yet another unnecessary complexity just to read books. Experience: Brand new physical books have such a distinct and likeable smell, there is even a perfume developed based on that odour. You don’t get this in a digital format obviously. Also, reading ebook over long period of time is tiring to the eyes. If we consider these two facts, the digital format not only eliminate one of the good experience reading a book it also bring a new set of problem. In conclusion even though digital format has several benefits, there are not yet strong incentive for Indonesian book reader to shift. Price is not that low, restrictive DRM and it didn’t offer much better experience. Not surprisingly, Ebook sales is still only 2% of total Indonesian book market. However the future market potential is quite encouraging. Russian-based ebook reading service Bookmate recently enter Indonesian market via partnership with Indosat. Bookmate believed the high levels of smartphone penetration could be an ideal catalyst to introduce its mobile reading service. To address the pricing issues, Bookmate offers all you can eat monthly flat fee ala Spotify. I believe this is a good trend which hopefully could bring down the price of ebooks in Indonesia. Several challenges still remains though. Ebook reader is really hard to get even in Jakarta. Hence ebook publisher or service provider should optimize their content more to Smartphones. Payment is also tricky due to low penetration of credit card. Good thing is Google Play (which also include Books) already accept payment using “pulsa” for all big three operators : Telkomsel, Indosat and XL. The bigger problem is the low reading interest of the general Indonesian population. Based on UNESCO survey, only one out of 1000 respondent have strong interest in reading. Increasing this rate could do wonders to Ebook market and also Indonesian publishing industry in general. So do you guys read Ebook? What are the factors which makes you switch to digital format ? Please share it in the comment section.